What is the max voltage of an external flash battery for the YN560? I'm looking at Tronix SpeedFire for Canon/Nikon and the specifications state that it outputs 330V dc! What's the maximum input voltage for the YN560-iv, can it handle 14V? The reason I'm asking is I want to create a cigarette lighter (12V) flash battery connector and I'm wondering if I need to step down the voltage using a DC to DC transformer. I know that 6V is safe as that is what 4xAA batteries outputs. I'll be using a flash cable and creating a cigarette lighter to female DIN connector. I can greatly simplify the design if all I need to put in place is a fuse. The external power port bypasses the flash's internal DC-DC inverter. External power supplies have their own DC-DC inverter to create the flash voltage. So to say that the external port requires more than 6 V is an understatement. The external port requires upwards of 300 V.
I would not recommend trying to use a non-photography-specific DC-DC boost converter to generate 330 V for a flash; most DC-DC converters intend a steady, non-peaky current draw. Flash use is the exact opposite of that: extremely short discharge times (i.e., lots of current, lots of heat). You are on the wrong track here, lacking some basic info. For one thing, the YN560 IV has no port to use a high voltage power supply. 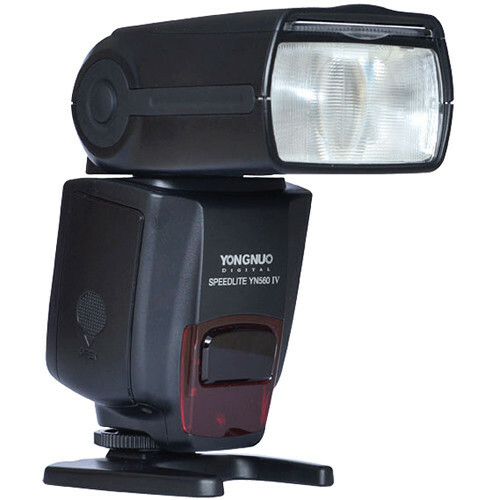 Some flashes do, the YN565EX for example. And then 330 V DC is the right ballpark. The flash has regular AA batteries in it, which powers the electronics, and which (for the duration of the recycle) also powers a DC converter that provides around 330V DC to charge the flash capacitor (which discharges through the flash tube to make the light). That's how speedlights work. Some speedlight flashes also have a special high voltage port to allow for an external high voltage power supply, now a second one, to help charge the capacitor faster, and it adds more batteries too (longer battery life). These external power supplies are normally also powered by a few AA batteries, and they also include their power converter to output the high voltage to the special HV port on the flash body. Except this Tron is different, it runs on AC wall voltage instead of batteries. The flash will still require its own batteries (to power the electronics). If you wanted to operate the Tron from a car battery, sounds like you need a 120 VAC power converter to feed that one the 120 V AC it expects (I've never seen one, but it says it runs from wall voltage). It will not be portable in a battery operated way then. 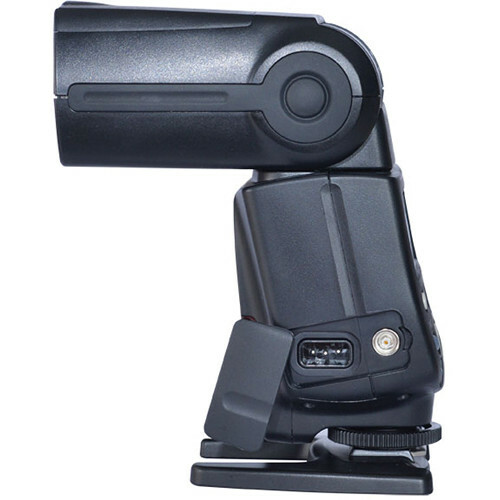 But the YN560 still has no port to accept it or use it, so you will need to find a different flash model that does. IF you just want a lot more battery for a YN560, then look at a Al Jacobs Black Box power supply. It plugs into the speedlights AA battery compartment with special cables. Or, carry some spare AA batteries. The Yongnuo 560 IV has a 330v external power port but you have only two choices: 6v in the battery compartment or controlled 330v in the external power receptacle. Don't try to build your own external power source to plug into the external power receptacle. Your flash cable and 12v will not work. 330v in the external receptacle alone will also NOT power the flash. It must also have the controlling circuitry that controls the 330v. I have the Canon 600ex-rt which has the same port as the Canon version of the 560, which also has the same port as the one you have mentioned above. If all the ports for these flashes accept the same cable it should all be the same voltage. Does a flash work well with regular alkaline batteries? Why don't camera flashes use proprietary batteries?